Happy Memorial Day! The latest count on my EPP [English Paper Piecing] Glorious Hexagons collection is now at 57. 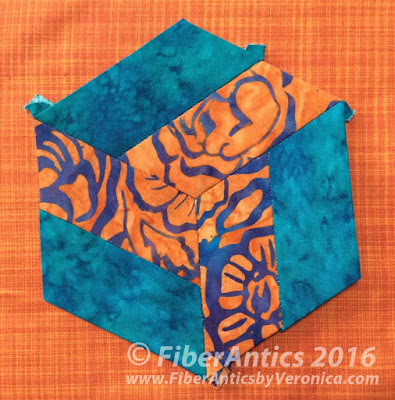 Here are the latest block additions using fabrics from Blank Quilting and StudioE. 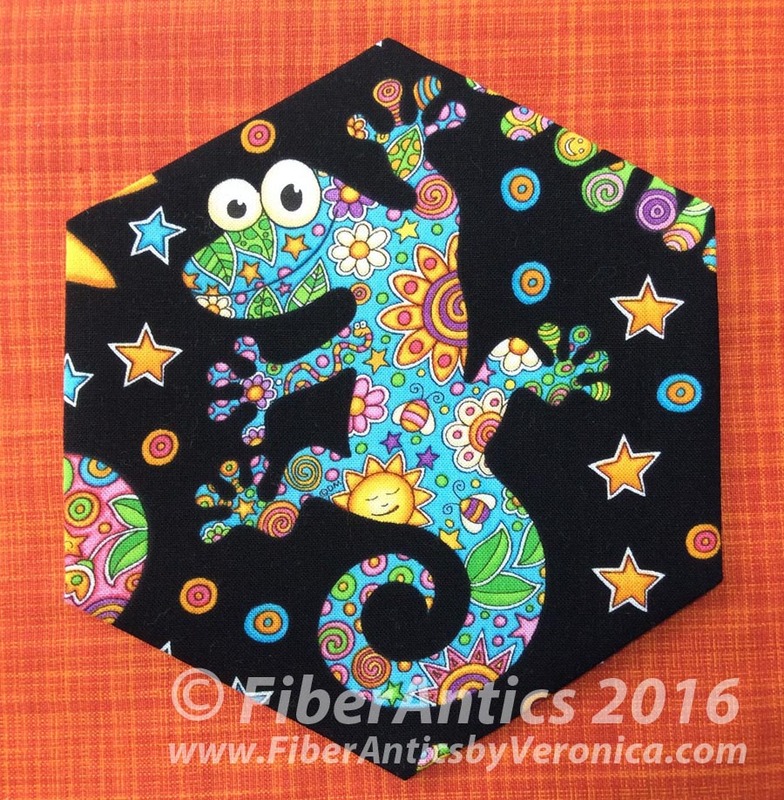 From the Bugaboo collection, a Peter Max psychedelic style print. 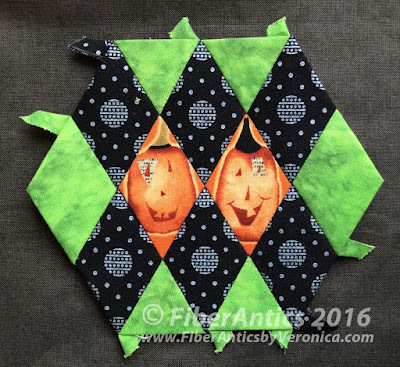 surrounded by a lime green Splash blender [Blank Quilting]. by Sarah Frederking for StudioE Fabrics. Black/white bicycles by Blank Quilting run the perimeter of this #13 Judy block. A Sumatra batik and a Splash blender from Blank Quilting make up this #10 Kelley block. and a coordinating Splash blender. 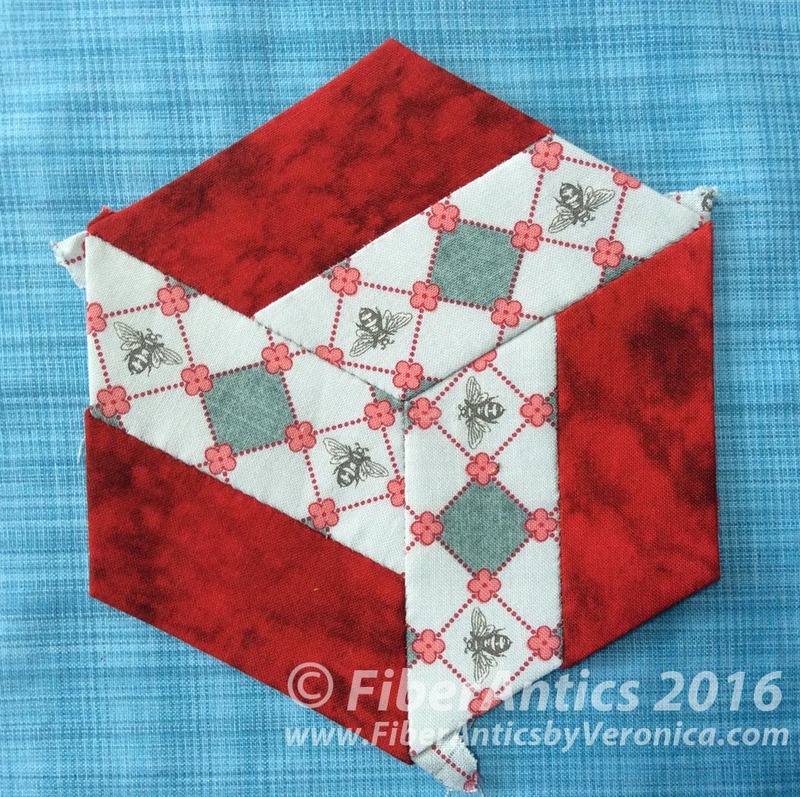 See what hexagons my friends are working on over at the Blank Quilting Q-bies and StudioE Fabrics Q-bies Facebook groups. I've seen some patriotic blocks to commemorate Memorial Day. 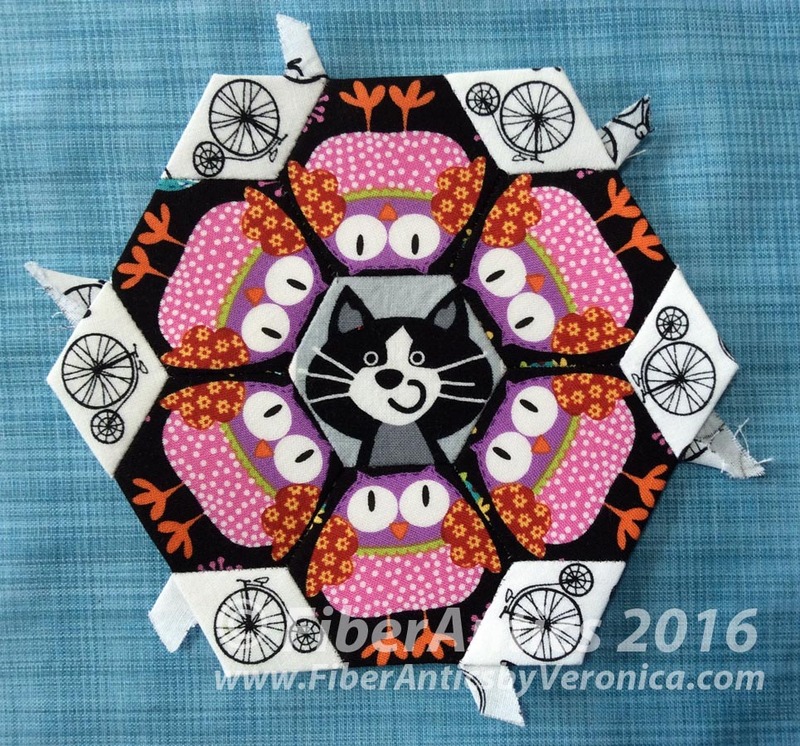 I'll be digging through my stash to get out the stars and stripes so I can EPP a R-W-B hexie, too.